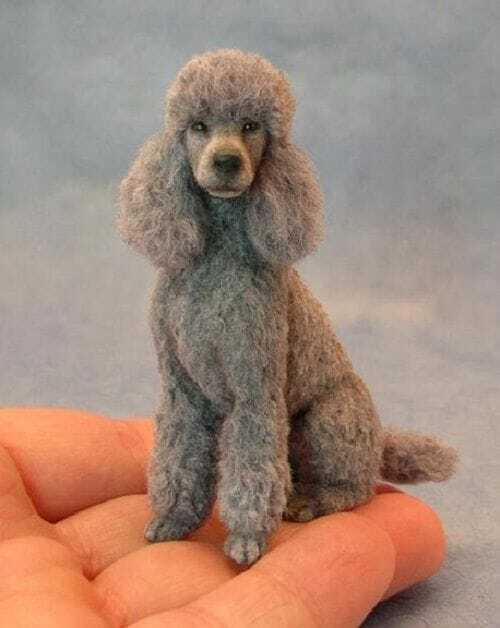 Standard Poodle above just one of the many creations by the most talented Miniature artisan Kerri Pajutee, a Fellow of the International guild of miniature artisans (IGMA), who has been creating realistic animals and birds in small scales since they first attracted her attention in 1987. Various links to artisans who create and sell them, will do commission work of your pets from images you provide as well as some who will provide you with free or paid for tutorials you can use as a guide to try your own hand at learning to make them for yourselves. *Some sites listed have been done so without payment or exchange of links back here to my site. These are just sites to artists who's work I or others who sent them my way love. ​Please report broken links to me. It only takes a tiny moment of your time and you may be rewarded big for your efforts.